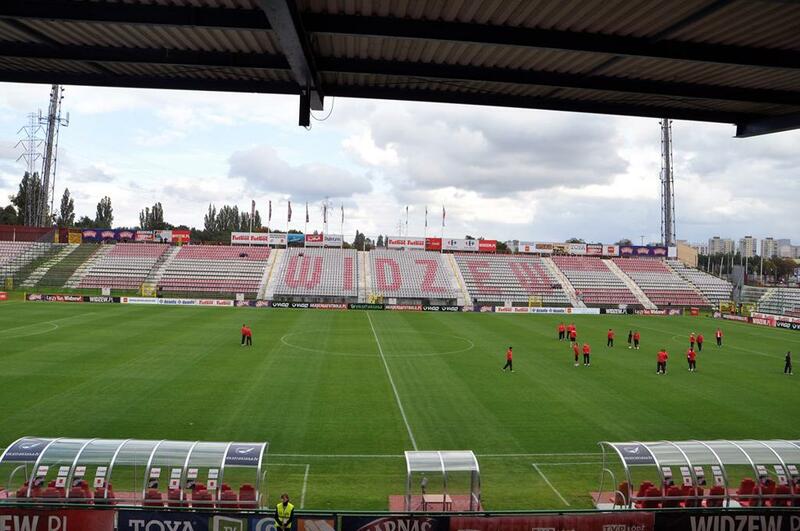 This wasn’t Widzew’s first stadium and Widzew was not the first club to play here. How come? Initially the club was based roughly 1 km west, while this plot was occupied by sports facilities set up in 1928 for a different team, WiMa (Widzewska Manufaktura). It wasn’t until after WWII that Widzew moved here, having fused with WiMa and choosing the less damaged sports complex to use. A decade later reconstruction was already underway, though only partial: club pavilion was built in the south-western part of the stadium. At that point there was still a running track in use. Major change came in 1970s, when all stands were reconstructed. With running track removed, the landfill terracing was created much closer to the field and old wooden main grandstand was replaced by one built largely with concrete. This resulted in a decent capacity of 20,000 people. From March 1985 the stadium also had floodlight masts, transported from Piła in western Poland. 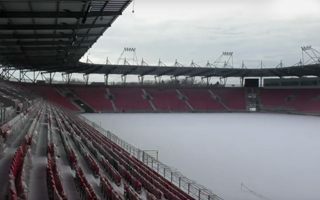 A decade later work was again in full swing and no wonder, Widzew won a spot in Champions League group stage, which resulted in first individual seats being installed in 1996. 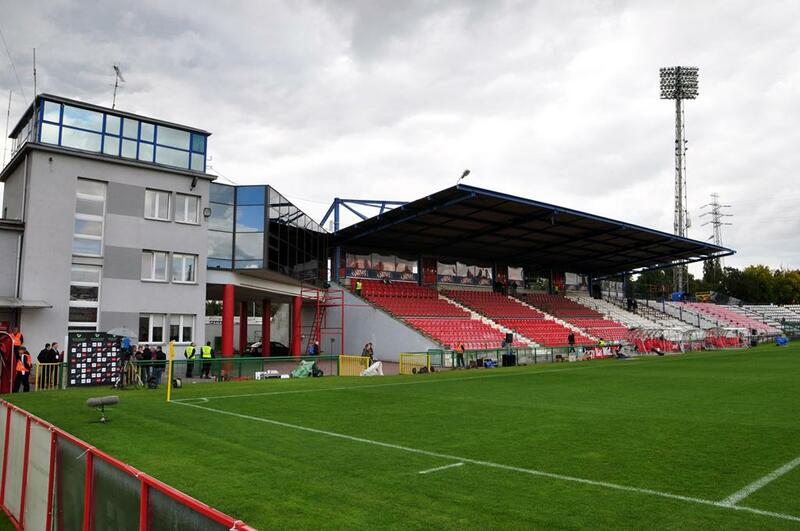 By 2000 the main stand was fully renovated and covered by one of Poland’s most modern cantilevered roofs, connected with the main club building. Most vocal supporters have long been based in the south stand. Due to the scoreboard being placed there, it was commonly known as Zegar (Clock End) and saw decades of great support, with first fan club being established in early 1970s. After conversion into all-seater mode the stadium could only seat 10,500 people (eventually even fewer) and its lifespan was at the end despite some efforts to extend it. It was thus closed in late 2014 and a brand new building replaced it. Today is the day that will go in history. Not just the history of 107-year-old Widzew, but that of Polish football as well. The new stadium in Łódź is ready for tonight’s opening game. 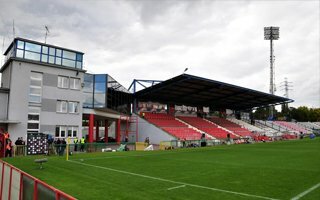 They’re three months away from their first game in 2017 and already now Widzew Łódź broke their all-time high and are among Poland’s most magnetic clubs. 5,500 season tickets passed and growing. 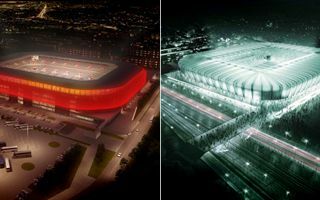 One of Poland’s most successful and popular clubs is getting a new stadium and from today onwards we’ll be there to present the progress to you. Meanwhile Widzew seeks an alternative relocation venue. One of Poland’s most popular clubs said goodbye to their old stadium today, following 84 years of service. But it was hardly an actual celebration of the old stadium, spoiled by players and some fans. One of Poland’s most famous clubs finally has the new stadium unveiled. Very cost-effective, but also much larger than the club’s current needs. Delivery is planned in just over 2 years from now. Marred by delays, the procedure for one of Poland’s most popular club’s new home is finally getting closer to a happy end. 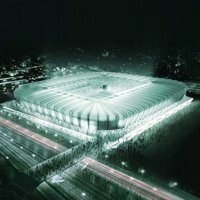 Surprisingly low bid by Mosty Łódź was accepted and the company has 28 months to deliver the stadium. 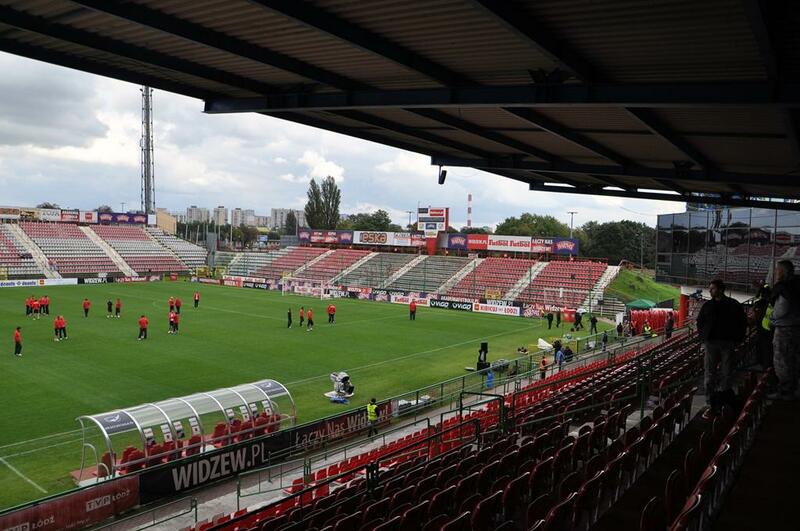 This week brought major developments regarding two new stadiums in Poland. 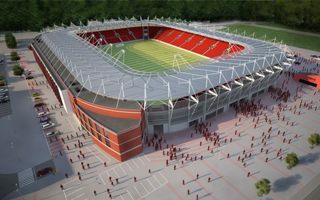 Construction is expected to restart in Zabrze, while contractor should soon be known for Widzew Łódź new ground. As Polish Ekstraklasa season ended, a sad image of two Euro 2012 stadiums filled in just over 30%, while third one barely made it over 50%. But the situation still seems to be improving overall for Polish football. 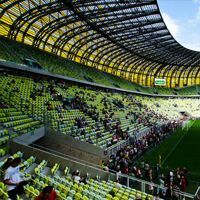 In early 2012 it seemed that Poland’s third largest city will be among very few ones to have two modern stadiums. Almost a year later Lodz not only isn’t closer to that dream, but actually seems a step back. 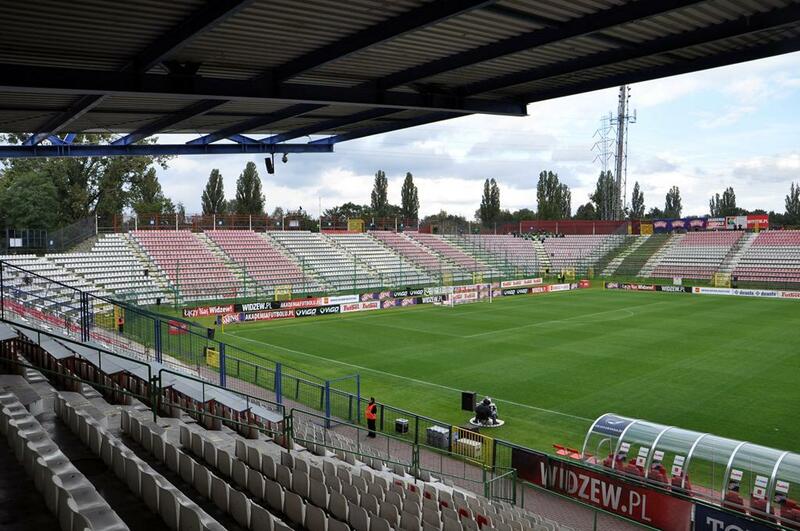 During last meeting of all 16 Ekstraklasa clubs on Monday, officials decided to support safe standing and legal pyrotechnics inside Polish stadiums. This unexpected step comes in response to police offensive after Euro 2012. 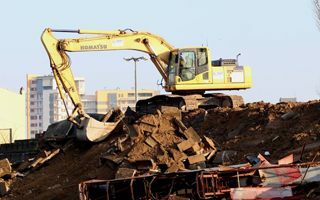 While first stadium’s construction started just two days ago, Łódź announced plans to start tender process for twice bigger one by the end of September. If everything goes as planned, the city will have two major football venues by 2015.